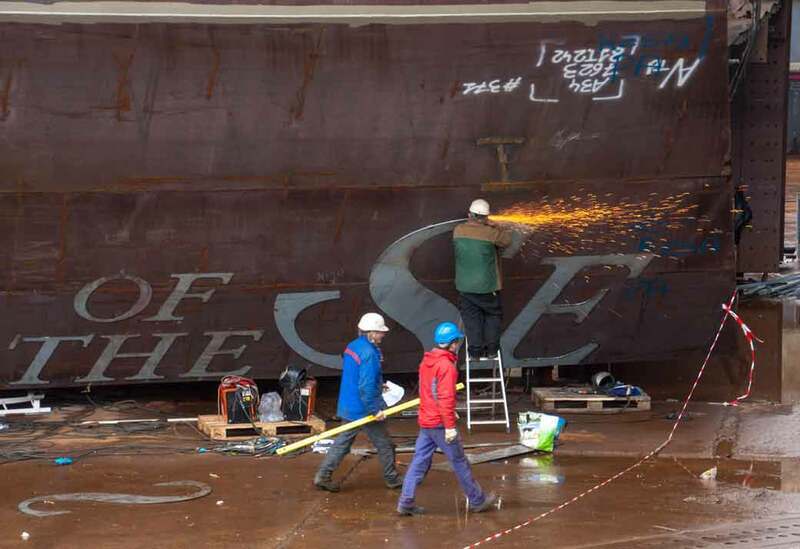 A tour of St Nazaire’s STX shipyard is one of the excursions on offer for passengers on CroisiEurope’s Loire Princesse, which was christened in Nantes last week. It was an opportunity I wasn’t going to miss, as it gave me the chance to grab a peek at Royal Caribbean’s Harmony of the Seas, which will become the biggest cruise ship in the world when it is launched in 2016. 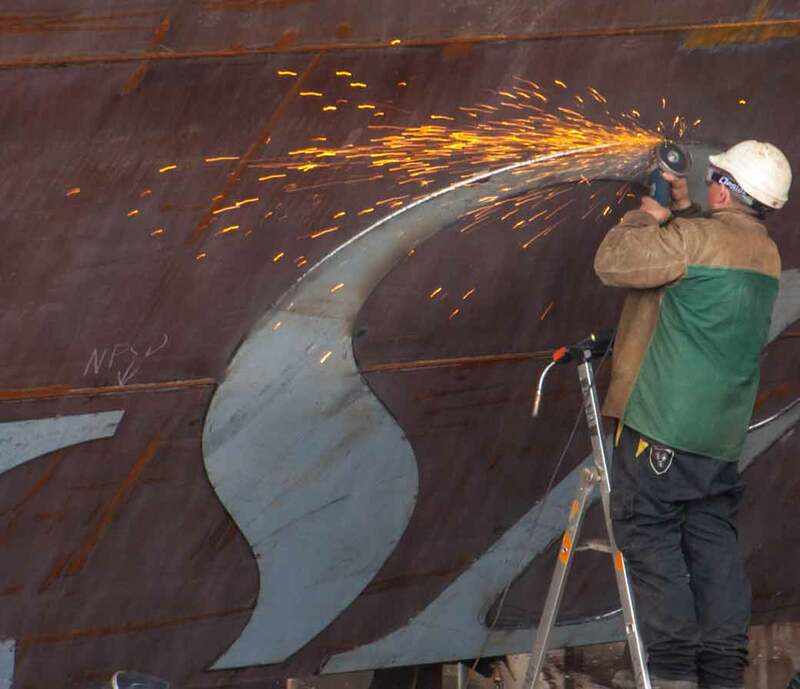 And especially as I visited the yard in September 2013 when the first steel was cut for the ship’s construction. 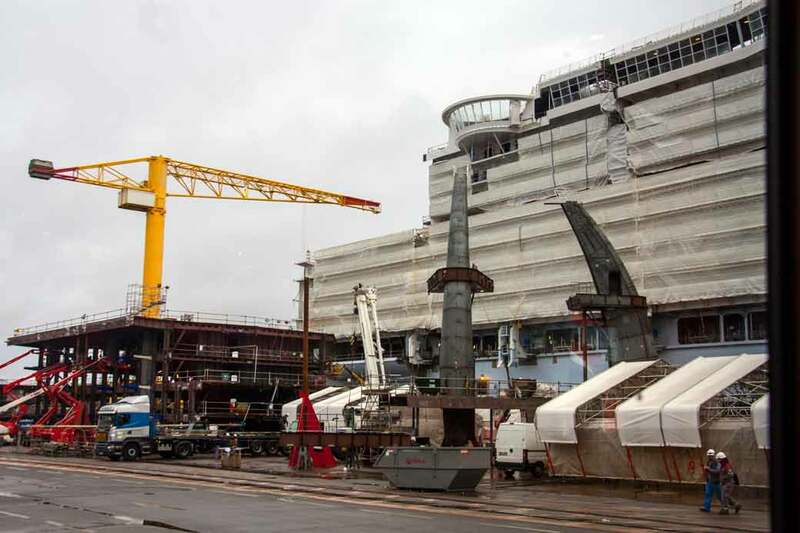 Harmony is the third Oasis-class ship for Royal and design tweaks mean it will be a shade bigger than its two sisters, which were both built at Turku, in Finland. For the first part of the tour, around the yard’s construction sheds, we were confined to the tour bus, peering out of the windows at the red 1,000-tonne-lift gantry crane installed last year. A few minutes later, we were able to step down and enter the dry-dock which was bustling with activity, even on Good Friday morning. Part-completed blocks were being assembled, ready to be lifted into place; a couple of workers were welding the ship’s name onto the hull and grinding off the rough edges, while a constraint stream of lorries was delivering prefabricated cabins put together in a nearby factory. Regular visitors on the tour will not be permitted to take photographs; the visiting journalists from Loire Princesse – which was also built at the yard -were given special dispensation. 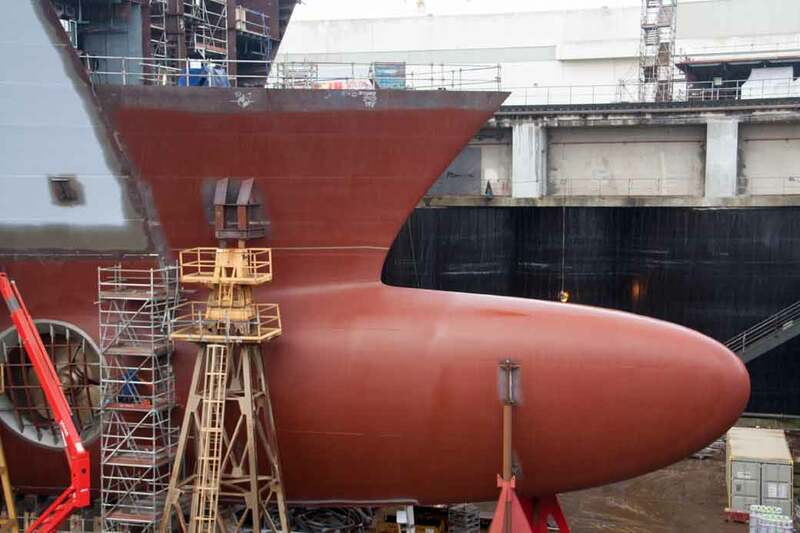 Harmony is expected to be floated out of dry dock this summer, and will enter service next April. The ship will spend the summer cruising in the Mediterranean before heading to Fort Lauderdale from where she will sail to the Caribbean.